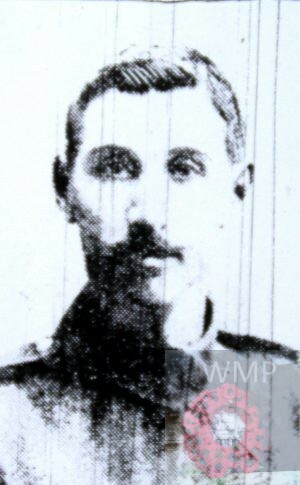 Died: 16th May 1916; age: 24; KiA. Served 8 years. Residence: St. George’s Street, Ipswich. Employed: in the Post Office. Date of Entry Therein: 11th September 1914. Rank: Sergeant; Service Number: 50021. Regiment: Royal Field Artillery, 34th Battalion, 58th Brigade. Alfred was 9 years old and living with his parents & sisters. Harry Cole, 49, a Caretaker – Chapel, born London. Elizabeth Rosa Cole, 43, born Saxmundham, Suffolk. Gertrude Cole, 14, born Newcastle upon Tyne, Tyne and Wear. Ada May Cole, 11, born Sheffield, Yorkshire. Charles Cole, 5, born Ipswich. Dora Cole, 3, born Ipswich – died 1912, Ipswich. Hilda Cole, 6 months, born Ipswich. Soldiers’ Effects to Harry Cole – father.